iPhone Available on O2 in UK on November 9th | OhGizmo! By Shane_McGlaun on 09/18/07 • Leave a comment! Apple and O2 announced today that O2 would be the exclusive UK carrier for the iPhone and will debut in the UK on November 9, 2007. Users of the iPhone in the UK will have all the features that iPhone fans in America enjoy including the new Wi-Fi iTunes store. Rumors were circulating that the iPhone launched in the UK might have some features that iPhones in America lacked namely 16GB of flash storage and 3G capabilities. However, as launched the iPhone is identical in features to what we have here in the states. The UK iPhone will be available for 269 pounds sterling including the VAT and will require an 18-month contract. 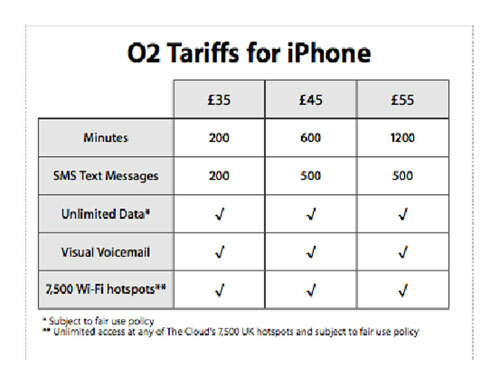 O2 will offer three iPhone plans that will start at 35 pounds sterling that all include unlimited anytime, anywhere mobile data usage and free unlimited use of the UK’s largest public WiFi network.